It looks like it’s time to start picking sides in the great war between music streaming and… whatever people who don’t do streaming use (some sort of compacted disc?). Earlier this week, Taylor Swift made a bold move for the anti-streaming forces, signing a new deal with Universal Music Group that forces the label to give money to its artists if it ever sells its stake in Spotify. Meanwhile, the pro-streaming side has lined up something that might be even more powerful than Taylor Swift: the entirety of Mexico City. 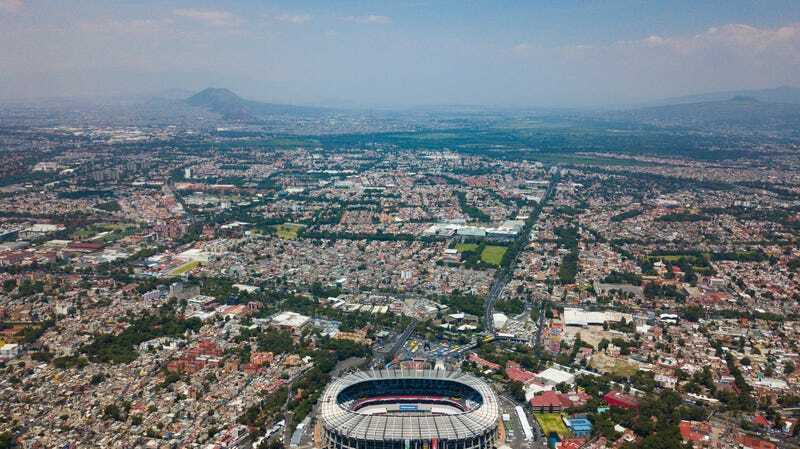 As reported by Billboard, Spotify’s data has determined that more of its users stream music in Mexico City than in other city in the world, which nicely coincides with the fact that Mexico City has recently become an important stop for international artists on tour. Apparently, in advance of the recent Pixies show at the city’s Zocolo Plaza, streams of the band’s music increased by 346 percent and led to Mexico City developing the largest Pixies fanbase on Spotify with 145,995 listeners popping online for a bit of Surfer Rosa or Doolittle. Also, more than 1.3 million people in Mexico City started listening to Queen after Bohemian Rhapsody came out, which definitely sounds like a lot. Of course, it’s hard to say just how impressive these numbers are without some other information, like, say, how many people in Mexico City were listening to The Pixies and Queen before that tour and the movie or how many people are listening to The Pixies and Queen in the other major cities that Mexico City is out-streaming. Either way, we’re going to interpret this report as a direct shot at Taylor Swift and the other anti-streamers, since that makes this more fun than just recognizing that both Taylor Swift and Spotify are doing pretty well. We don’t really care about that.